Vietnam wants together with Saudi Arabia to make bilateral ties more fruitful, especially in areas of each country’s strengths. 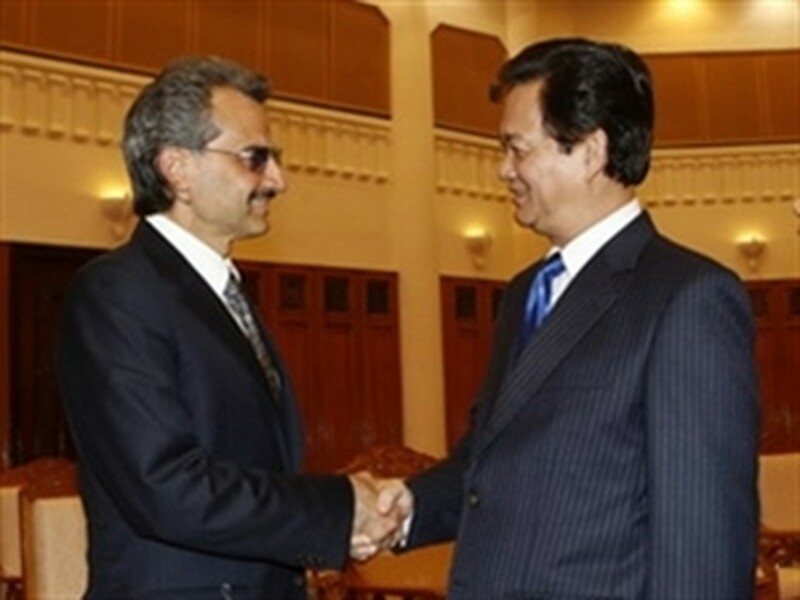 Prime Minister Nguyen Tan Dung made the statement while receiving Saudi Arabian Prince Alwaleed Bin Talal Bin Abdul Aziz Al Saud in Hanoi on July 28. PM Dung welcomed the Saudi Arabian Prince’s visit, which takes place in the context of the two countries’ developing friendship and cooperation, and congratulated the Prince on receiving the Friendship Order, a noble distinction of the Vietnamese State. He also applauded the Prince’s trade and investment cooperation initiatives and said the two sides should make more effort to foster their two-way trade in the future. Vietnam is ready to welcome and support Saudi Arabian investors to promote investment activities in the country, especially in the fields of tourism, hotel, oil and gas, and labor, he affirmed. The Government leader also suggested the two sides sign a strategy on oil and gas cooperation as soon as possible and increase coordination in exporting Vietnamese guest workers to Saudi Arabia. For his part, the Saudi Arabian Prince spoke highly of Vietnam’s achievements in overcoming the impacts of the world economic crisis, saying this is a success of the Vietnamese Government and people. He said Saudi Arabia is now home to around 10,000 Vietnamese guest workers and the Saudi Arabian government is striving to raise the figure to hundreds of thousands in the future. Saudi Arabian businesses are promoting investment activities in the tourism and hotel sector in Vietnam, he added. On the same day, the Saudi Arabian Prince met with Deputy Prime Minister and Foreign Minister Pham Gia Khiem.